In honor of Bama’s game in the swamp tonight with the Florida Gators, here’s a recipe for Alligator Piquant. If you’ve never cooked Alligator, it does taste a lot like chicken. Alligator tail meat is available at finer grocery stores but it’s on the expensive side. 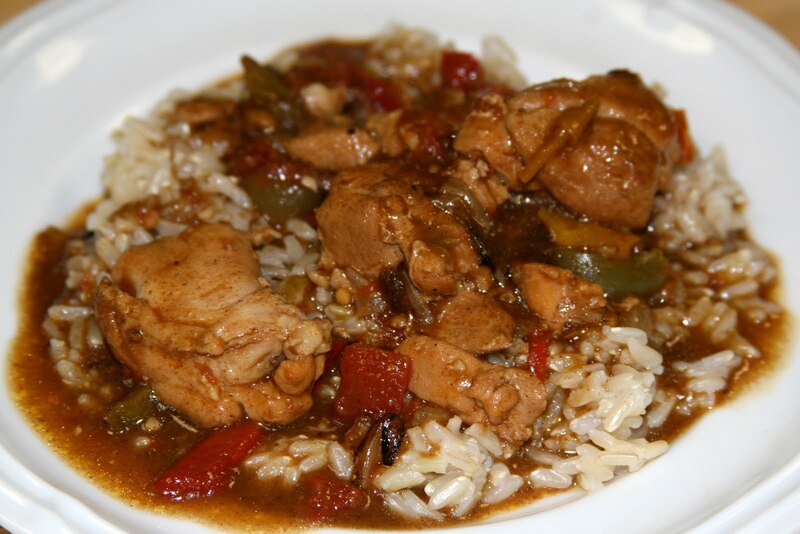 Piquant sauce is a Cajun staple and in Louisiana they cook any variety of meats (rabbit, chicken, duck) and serve with a piquant sauce, so if you’re not up on trying alligator, try with one of the other meats. In a large, heavy pot (preferably a cast iron pot), heat the oil over medium high heat. Add the flour and cook, stirring constantly, until roux is the color of chocolate (can take up to 20 minutes to achieve this nice dark nutty smelling roux). Add the onion, bell pepper, celery and garlic and cook, stirring constantly, for 2-3 minutes. Add the gator (or other meat) water, tomato sauce, Ro-Tel tomatoes, andouille sausage, cayenne pepper, salt and paprika. Reduce heat to medium and cook for 30 minutes, stirring occasionally, until mixture thickens and resembles a stew, making sure the meat is done. Add the 2 sticks of butter to the “stew” and cook for another 10 minutes. This entry was posted in Entree, Tailgating Recipes and tagged alligator, andouille, cajun stew, creole, piquant, ro-tel by quarlj01. Bookmark the permalink.